In sport or technology, in chess or in science, we hear about individuals with great talent who excel to the point that they win grand slams or receive Nobel prizes. But what about bosses? Writing in The Sydney Morning Herald, Anthony Mitchell, who runs a strategic leadership firm, wondered why it is that in the arena of business, populated by highly paid executives, leaders "perform with such mediocrity or worse when it comes to inspiring people and generating outstanding results? How do they even manage to keep their jobs?" Another expert at the frontline of leadership development, Tim Baker, founder of WINNERS AT WORK, makes the comparison with technology. "We are seeing the same rate of change in the requirements of leadership as we are in technology. Yet we are still working on the old paradigms of what leadership is: where the boss does the thinking and the worker does the doing. Even though we think we have changed, the paradigm is very strong," Baker says. 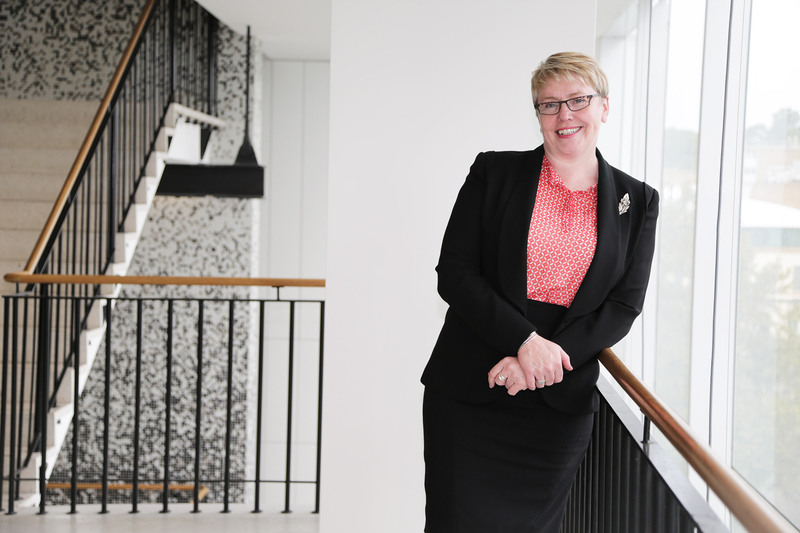 "We are certainly a long way from where we should be in terms of leadership," agrees Leisa Sargent, a professor and senior deputy dean at UNSW Business School. "And it's problematic because having good leaders can make such a big difference not only to the success of companies but to the quality of our working lives." An expert in organisational behaviour, Sargent refers to the largest ever study of Australian leadership (SAL), published by University of Melbourne's Centre for Workplace Leadership, which surveyed more than 8000 individuals, including CEOs, senior leaders and workplace specialists such as HR professionals. It pulls no punches in its conclusions, describing why there has to be change at the top. According to the SAL, Australian organisations should be concerned about the state of leadership and management capability: "The findings reveal a pattern of mediocre leadership in many organisations that will likely impair their capacity to shift to a knowledge economy and impede their efforts to raise productivity." The report goes on to identify gaps and weaknesses, such as that many leaders are not mastering even the basic management fundamentals; many are not well-trained, with one in four senior leaders in both private sector and Australian-owned organisations having no formal training beyond secondary school. Few Australian organisations invest much in leadership development, especially at the frontline; diversity at the top is mono-cultural, and many senior leaders do not draw on strategic advice within or outside of their organisations in making decisions about the future. Mitchell thinks that despite a library-worth of books on the subject, leaders don't know what "good" looks like and that they rarely receive any objective feedback on how they're doing. Baker believes the heart of the problem is that many people get promoted on the basis of their technical competence and go into leadership roles with the wrong intent, as it is the only way to get promoted and earn extra income. "You are technically trained to answer questions, but that competence is diametrically opposed to leadership skills where leaders should be in the business of asking questions. To make the adjustment is huge," he says. Huge, but not insurmountable. A chosen leader may start out being as inspirational as a shelf-stacker, having the wrong mindset and inadequate skills, but people can change and leaders can evolve, given the right circumstances. One might expect those who derive an income from leadership training to argue this point, but Sargent agrees that with deliberate and specific developmental practice, effective leadership can be learnt. Sargent's latest research explores what those different developmental experiences are – and how effective they can be. While formal training provides a foundation for the diverse skills associated with leadership – from problem solving to managing change – Sargent and her co-authors have also concentrated on self-efficacy and mentoring relationships, which the SAL report has shown lead to significantly better workplace performance and innovation. "There's a need for a stronger evidence-based understanding of the types of developmental experiences that relate to leadership effectiveness and promotability," Sargent says. "Our research uncovers two intervening mechanisms – leadership self-efficacy and the size and quality of one's mentor network – to explain these relationships." The results have important implications for leadership programs in organisations seeking to identify promotable managers – and for individuals seeking to become leaders. To identify potential leaders, Sargent believes there is a range of things that organisations can do. "The use of psychometric measures, getting potential leaders to write down why they want to be on a leadership development program, so you get insight into the reasons and desire to lead. It's also important to ask those around the individual, what the talent map looks like," she says. And while formal learning programs still have their place, "it is the combination of having developmental challenges – learning by doing – along with developmental supervision and formal training that has a synergistic effect". Job challenges include responsibilities such as executing a new change strategy within one's work unit or dealing with difficult people problems. "Organisations may want to incorporate such responsibilities into a promising manager's job duties, and managers should seek out critical projects even if they are not offered," says Sargent. According to Sargent, any training is really about building people's belief in their own capabilities. Increasing social resources for support, such as mentoring relationships, and opening doors to contacts and spheres of influence – providing visibility – are all key to building effective leadership. "It is interesting to see that people can improve through multiple developmental mechanisms and support and go on to excel in their roles." In the longitudinal study that Sargent co-authored – Linking Developmental Experiences to Leader Effectiveness and Promotability: The Mediating Role of Leadership Self-Efficacy and Mentor Network – bosses were questioned on their perceived effectiveness down the track and it revealed that "when people feel that they are getting stronger and better, it builds a kind of momentum", she says. Skills and knowledge accretion are fundamental to that sense of improvement, but it is the behaviour of leaders that is increasingly a focus on what differentiates the great from the good. "As a leader, the standards you walk past are the standards you accept. So if something is going on where you turn a blind eye and you accept it, then that diminishes your credibility as a leader. It takes courage. But it means that you're creating accountability for your own behaviour and also for your subordinates," says Sargent. Coaching around credibility, says Baker, requires leaders to reveal their true selves, not something that comes easily or naturally to anyone used to putting their best face forward. "When I ask leaders to be humble and authentic, to demonstrate that they don't know all the answers, they struggle with that. Whereas on the home front, they would hold up their hands and admit failure. It's breaking down traditional mindsets. "We tend to think of leadership as an external exercise: How do I delegate? How do I inspire? Instead, we should be looking within and I don't think leadership development concentrates enough on that." Coupled with self-awareness, an even bigger challenge, says Baker, is attracting people to collaborate with – particularly those who hold different views and outlooks. "I think the next big wave in leadership development is realising the importance of diversity of thinking. At the top end of organisations, you get people who all think in a similar way, which is a serious impediment for organisational leadership, innovation and the need for agility in business. Instead, we should be honouring and valuing diverse ways of thinking," he says. "Mind you, it takes a very confident leader to surround him or herself with people who will challenge them. If you've got to spend 14 hours a day with someone, you can understand why you would gather people around who think the same. Having said that, I've seen some bosses who deliberately select people who aren't like them and they are the ones who get results." Page last updated: 21/02/2018 3:06 AM Disclaimer Some pages on this website are updated dynamically on a regular basis. This may not be reflected in the ‘Last updated’ date.